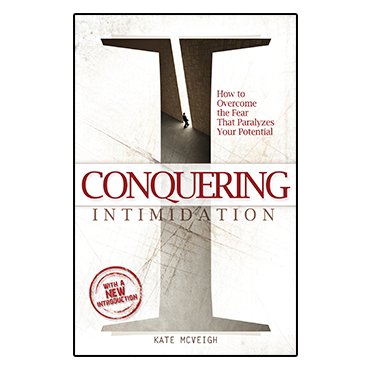 Do intimidation, fear, and rejection have you down? Discover the vital keys that will change the course of your life forever. God wants you to succeed! Have you ever felt rejected or intimidated because others have said you’re not smart enough, tall enough, or good-looking enough? Perhaps you think there’s something terribly wrong with you and have developed the idea that you’re unacceptable and unsuitable for anyone or anything. Sharing her personal story of how she went from being voted “least likely to succeed” to preaching the Gospel around the world, Kate McVeigh encourages us to see ourselves the way God sees us. She reveals steps we can take to overcome rejection, intimidation, and fear in our lives, and reminds us that we have the Greater One living on the inside. We can overcome the lies of the enemy, press toward our dreams, and be who God has called us to be!